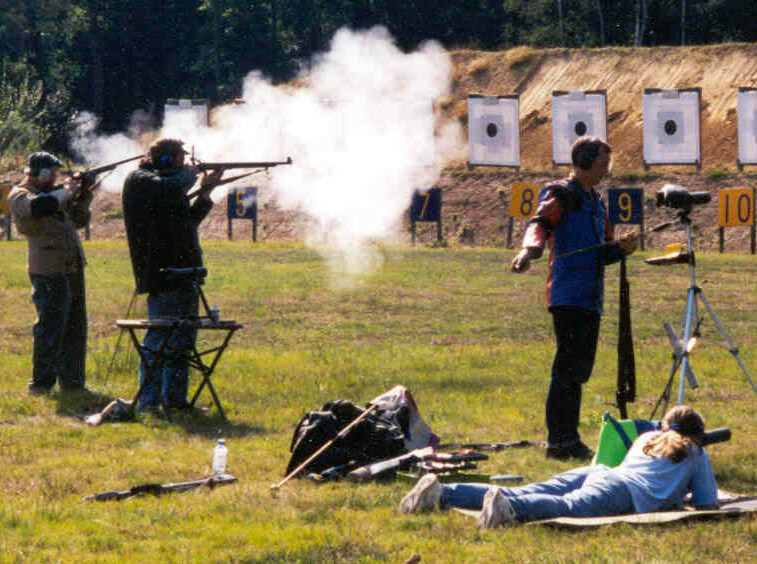 Black powder shooting uses muskets and rifles of various designs, both muzzle and breech loading. Shooting is arranged on a County wide basis, drawing members from our affiliated clubs. There are local monthly shoots held at 100m and the BP County Open Championship at ranges from 200 to 400 yards held in Derbyshire as well as national competitions at the National Rifle Association ranges at Bisley in Surrey.